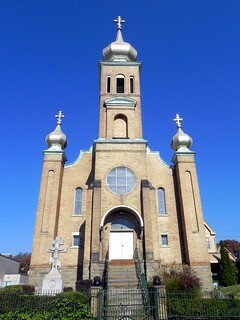 Welcome to Saint Michael The Archangel Orthodox Church. We are a parish of the Orthodox Christian Faith which was established on the day of Holy Pentecost in the Year 33 AD. Our parish community is a member of the American Carpatho-Russian Orthodox Diocese of the U.S.A. whose presiding bishop is His Eminence, Metropolitan Gregory of Nyssa. The American Carpatho-Russian Orthodox Diocese is an autonomous diocese under the spiritual protection of the Ecumenical Patriarchate of Constantinople of which His All-Holiness, Ecumenical Patriarch Bartholomew I is the Primate. May we all have a Blessed and Joyful Lent! On this 5th Sunday of Lent, we remember our holy Mother Mary of Egypt. This is the last week of Great Lent, ending on Friday. Beginning with this Saturday, we start the celebration of our Salvation with the remembrance of Our Lord raising Lazarus from the tomb after four days.